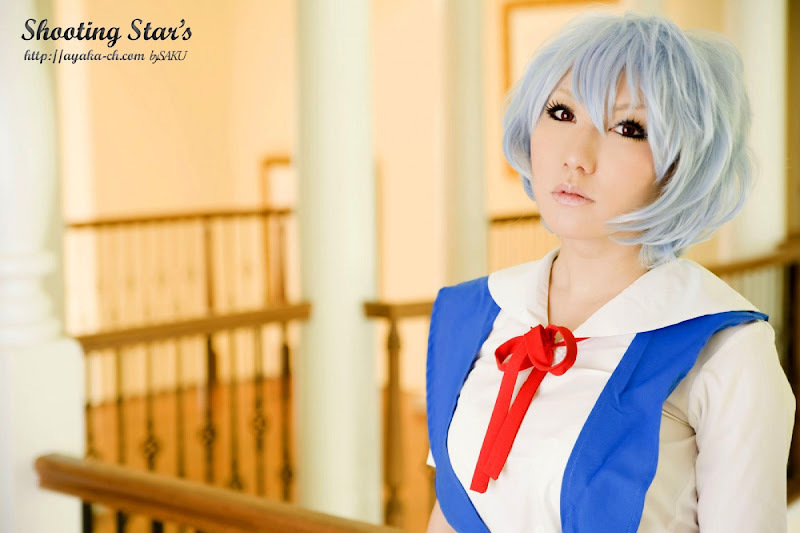 Sakuya is cosplaying as Rei Ayanami from Neon Genesis Evangelion. 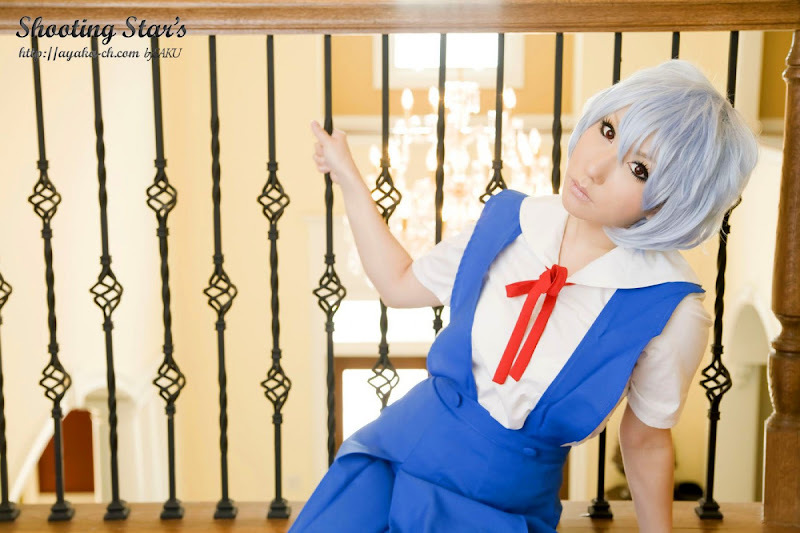 Rei Ayanami (綾波 レイ, Ayanami Rei) is a fictional character from the Neon Genesis Evangelion franchise. She is the First Child (First Children in the Japanese version) and pilot of the Evangelion Unit 00.